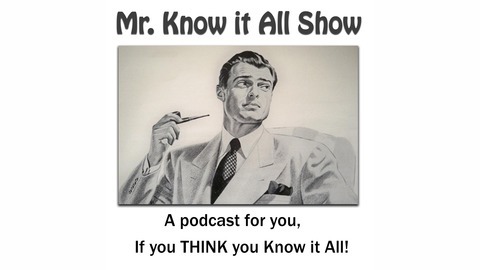 Everybody is a Mr. Know it All. No one person can know everything, but many have knowledge that goes beyond your experiences or training. Your hosts, Chuck and Matt are a rare exception. They have been there, done that. With vast knowledge and experience, Matt, with more hands-on training, and Chuck, the classically trained technologist, have the solutions to many of life’s problems, just ask them! Topics may range from Pop culture, to Pop rivets, Cars, Family, warfare to welfare, world events, or world history. If politics become relevant to our discussion, you’ll get opinions from a regular guy’s point of view, not some political wonk. We’ll even tell you what a WONK is! In the second half of the 3rd episode, Matt and Chuck discuss the Florida legislature and their shortsightedness. Florida is loosing BILLIONS to Georgia and other states by not funding any incentives for film making, and dramatically reducing the tourism office budget. They call it “corporate welfare”, we call it political gamesmanship. 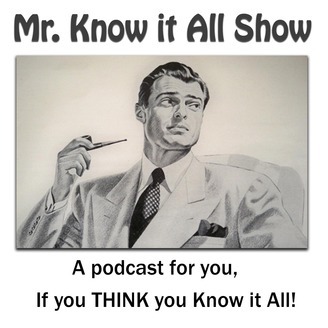 Take a listen, leave a comment, and become a know-it-all! Chuck & Matt – Solving the World’s Problems before Lunch is over!